FORT MYERS, FLa. — Lee health is showing their gratitude for the officers who keep our community safe every day. 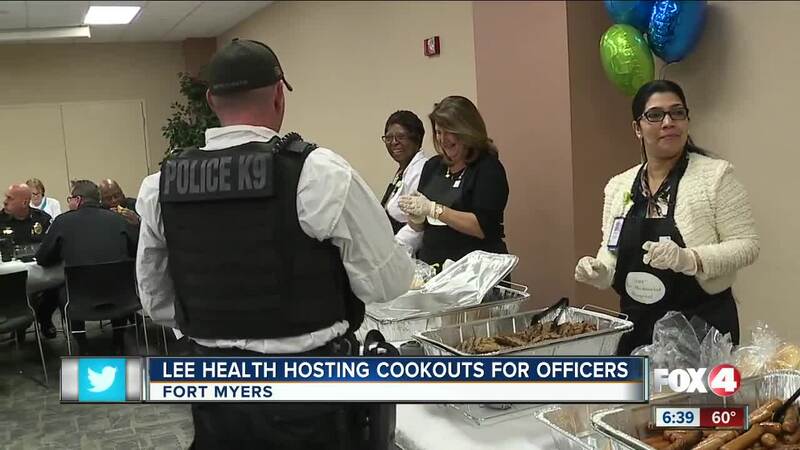 They are holding a free cookout for the Fort Myers Police Department. Hospital staff says they want to build on their already strong relationship with the department, especially after the tragic shooting death of officer jobbers-miller. They say overall, they just want to show their appreciation.